This article is about the men's team. For the women's team, see Uzbekistan women's national football team. The year of birth of football in Uzbekistan is 1912 (read more in this article), since it was then that football teams were created in Kokand, a little later in Ferghana, Andijan, Tashkent, Samarkand, Bukhara and Urganch, between which began to be held long-distance matches. The first championship of Ferghana valley was held in 1914, the Championship of the Uzbekistan SSR began to be played since 1926, and the drawing of the Uzbekistan SSR Cup began to be carried out since 1939. From 1924 to 1991 Uzbekistan was part of the Soviet Union (USSR) as the Uzbekistan Soviet Socialist Republic (UzSSR). In 1928, the national team of Uzbekistan was created for the first time, which took part in the Spartakiade, which included representatives of some European countries. At this tournament, the national team of Uzbekistan Soviet Socialist Republic held its first international match against team of jobs Switzerland and won with a score of 8:4. Until mid-1991, Uzbekistan was part of the USSR and had its own national team as well as the rest of the Union republics, which mostly played matches within teams and teams of the USSR, in particular in football tournaments of the Spartakiad of Peoples of the USSR. The national team of the Uzbekistan SSR participated in all draws of the football tournament of the Spartakiad of Peoples of the USSR, and in the 1986 tournament reached the final, lost to the Ukrainian SSR (modern Ukraine) team with a score of 0:1, thereby winning the silver medal of the tournament. The most powerful football clubs, as well as semi-professional and professional clubs of the Uzbekistan SSR participated in the USSR Football League (Higher League, First League, Second League and Second League B) and USSR Cup. Nonprofessional clubs of the Uzbekistan SSR participated in the Uzbekistan SSR Championship and the Uzbekistan SSR Cup. After the dissolution of the Soviet Union, and Uzbekistan gained independence, the national team of Uzbekistan of the new convocation was organized. The national team held its first matches in 1992. The first game of the national team of Uzbekistan was a match against Tajikistan, in the framework of the Central Asian Cup 1992 (the tournament was held once) initiated by FIFA. These matches are officially registered by FIFA on the basis of the fact that the national team of Uzbekistan has been allowed since 1992 to participate in tournaments held under the auspices of FIFA. At the drawing of this tournament in the format of the league, the national team of Uzbekistan was the second after the national team of Kazakhstan. In the first year of existence, the national team of Uzbekistan held matches only with the teams of Tajikistan, Turkmenistan, Kazakhstan and Kyrgyzstan. In 1993, the team has not played a single match. In 1992, Uzbekistan was also a member of the CIS national football team, which existed for one year and replaced the USSR national football team and instead participated in the Euro 1992. Most of the former Soviet republics became members of UEFA (Russia, Ukraine, Belarus, Moldova, Latvia, Lithuania, Estonia, Georgia, Armenia and Azerbaijan), and Uzbekistan also wanted to become a member of UEFA. But like the rest of the republics of Central Asia (Kazakhstan, Kyrgyzstan, Tajikistan and Turkmenistan), chose AFC. In 2002, Kazakhstan became a member of UEFA for better development of its football, but Uzbekistan chose to remain in the AFC. Anyway, there are many supporters of Uzbekistan’s membership in UEFA. Since they believe that Uzbekistan shows European football, and Soviet Uzbekistan, which was part of the USSR, has long been a member of UEFA. In 1994, the Uzbekistan Football Federation was officially adopted by the AFC and FIFA. In the same year Uzbekistan won in the international tournament the Cup of Independence of Uzbekistan, and at the end of the year the national team won in the ending the national team of China with the score 4:2, became the winner of football tournament of the Asian Games of 1994 which took place in the Japanese city of Hiroshima. 1994 Asian Games Final starting lineup on 16 October 1994, in Hiroshima, (Japan). Uzbekistan won the 1994 Asian Games tournament as debutants. Uzbekistan failed to make further impact on the continental stage until they reached the last eight of the 2004 Asian Cup, where they were beaten by Bahrain after a penalty shoot-out. That performance was followed by victory over Iraq in the second qualifying round for World Cup 2006 in Germany, with goals from Maksim Shatskikh and Alexander Geynrikh sending them through to the last eight. They were knocked out in the final stage of the Asian qualification to the 2006 World Cup after losing on the away goals rule to Bahrain. The result was subject to controversy as actually three games were played; the first, a 1–0 win for Uzbekistan, was wiped out after FIFA declared the result void after a mistake by Toshimitsu Yoshida, a Japanese referee. The replay ended 1–1, and after the return finished 0–0, Uzbekistan were eliminated. In the 2007 Asian Cup, Uzbekistan was able to get past the group stage by beating Malaysia 5–0 and China PR 3–0. However, Uzbekistan was knocked out of the tournament in the quarter-finals by losing to Saudi Arabia 2–1. After having three foreign coaches (German Hans-Jürgen Gede, Englishman Bob Houghton and Russian Valeri Nepomniachi) in three years, Uzbekistan turned to former Uzbekistan Olympic team coach Rauf Inileev. In the qualifying series for the 2010 World Cup, Uzbekistan advanced to the fourth round of the Asian qualifiers after winning their first four matches, but finished last in Group A of the final round behind favorites Australia, Japan, Bahrain and Qatar, with four points from eight matches. Uzbekistan national football team in 2011. Four years later, in the 2011 Asian Cup, Uzbekistan ended in fourth place, their best result in the tournament so far. After getting past the group stage and quarter-finals, the Uzbek team lost what it might have been their first Asian Cup final when Australia thrashed the team 0–6 in their semi-final game. Some days later, they were defeated again by South Korea in the third place playoff. In the qualifying series for the 2014 World Cup, Uzbekistan advanced to the fourth round of the Asian qualifiers after winning their group in the third round over perennial favorites Japan. Uzbekistan finished with 16 points (five wins and one draw), which was more than any other team in the third round, including an impressive 1–0 away win against Japan. In the fourth round of the qualifiers, Uzbekistan finished third in Group A behind Iran and South Korea. Uzbekistan had the same amount of points as South Korea (14 points), who had a better goal difference by one goal. The two teams who finished third in the fourth round groups (Jordan and Uzbekistan) played each other in the fifth round to determine the AFC participant in the intercontinental play-off. The games took place on 6 and 10 September 2013. With the two teams still evenly matched at full-time in the second leg, Jordan eventually progressed to the intercontinental play-off after winning 9–8 on penalties. In the 2015 Asian Cup, Uzbekistan advanced to the quarter-finals after finishing as runners-up in the tough Group B, which was won by China, while Saudi Arabia and North Korea were eliminated. However, the team was knocked out of the tournament in the quarter-finals after losing 2–0 in extra time to South Korea. Uzbekistan continued their quest to head to the World Cup during 2018 FIFA World Cup qualification in Russia, but their campaign had been shattered with a humiliating 2–4 defeat to North Korea. However, the Uzbeks soon bounced back and won the last remaining matches to top the group and qualified to the 2019 AFC Asian Cup as well as last round. Once again, Uzbekistan in the last round, missed opportunity when they finished fourth, behind Iran, South Korea and Syria, when Uzbekistan could only manage a 0–0 draw to the South Koreans last match..
Uzbekistan started their 2019 AFC Asian Cup campaign with a 2–1 win over Oman and continued with a 4–0 win over neighbor Turkmenistan, which guaranteed Uzbekistan to progress from the group stage for the fifth consecutive times, despite Uzbekistan ended with a 1–2 defeat to Japan in the last match. However, they had to face Australia, then-champions of Asia. Despite playing well, Uzbekistan could not break the deadlock as it ended 0–0 after 120 minutes. On the penalty shootout, Australia prevailed with a 4–2 win, thus Uzbekistan's dream was crashed out on the round of sixteen. Uzbekistan national football team opponents. 54 countries. The final squad for 2019 China Cup. Caps and goals correct as of: 25 March 2019, after the match against China. From the moment of its formation (1992) until the end of 2012, the main home stadium of the Uzbekistan national football team was the Pakhtakor Central Stadium in Tashkent, built and opened in 1956. This stadium is also the venue for home matches of Pakhtakor Football Club. During the USSR, this stadium was home for the Uzbekistan SSR national team. Was reconstructed in 1996, 2008 and 2012 and currently holds 35,000 spectators (before this capacity was 55,000 spectators). For today's time the national team of Uzbekistan holds only some of the matches at Pakhtakor Stadium. From 2013 to the present, the main home stadium of the Uzbekistan national team is the Milliy Stadium (until 2018 was named Bunyodkor Stadium), built in 2008-2012 and accommodating 34,000 spectators. This stadium is also a home for the Bunyodkor Football Club. The national team of Uzbekistan in different years held their home matches also in other cities and stadiums of Uzbekistan. So, at the MHSK Stadium in Tashkent (1 match in 1996 and 5 matches in 2008), at the NBU Stadium in Tashkent (1 match in 2000), at the JAR Stadium in Tashkent (1 match in 2012 and 1 match in 2014), at the Dinamo Stadium in Samarkand (2 matches in 1999), at the Markaziy Stadium in Qarshi (1 match in 2007), at the Metallurg Stadium in Almalyk (1 match in 2014). As of 21 January 2019. Uzbekistan vs. Bahrain. Pakhtakor Central Stadium, 2009. The Uzbekistan national team has received several nicknames by supporters and media. The most common one used is "The White Wolwes" (Uzbek Oq boʻrilar / Оқ бўрилар; Russian Белые волки / Beliye volki). The wolf is a revered animal of the Turkic peoples. The main part of the population of Uzbekistan belongs to the Turkic peoples. Also in the country live Iranian peoples, Russian and others. 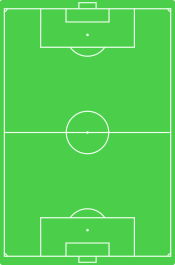 White color refers to the basic form of the Uzbekistan national team. Also, the Uzbekistan national football team is called "Asian Italy" (Uzbek Osiyo Italiyasi / Осиё Италияси; Russian Азиатская Италия / Aziatskaya Italiya). This is due to the similarity of colors (white and blue) clothing teams of Italy and Uzbekistan, as well as similar tactics (defensive football) of these teams. The Uzbekistan Super League is often considered to be similar to Italian Serie A. Also, the history of Uzbekistan is as rich and ancient as the history of Italy. Also the team of Uzbekistan is called "Huma birds" (Uzbek Humo qushlari / Ҳумо қушлари; Russian Птицы Хума / Ptitsi Khuma). The mythical Huma bird is the national bird of Uzbekistan, and is depicted on the state emblem of Uzbekistan. The Huma bird is depicted on the emblem of the National Olympic Committee of the Republic of Uzbekistan. Sometimes the Uzbekistan national football is called "Turanians" (Uzbek Turonliklar / Туронликлар; Russian Туранцы / Turantsi), because the current country of Uzbekistan is located in the center of this ancient region Turan, and all the ancient and major cities of this region are located in this country, and therefore Uzbekistan is considered by some to be the successor of the Turan. The main rivals of the Uzbekistan national team are the countries of Central Asia, the national teams of Kazakhstan, Tajikistan, Turkmenistan and Kyrgyzstan. The main and most important rival of the national team of Uzbekistan are the national teams of Kazakhstan and Tajikistan. The matches between the countries of Central Asia have always aroused great interest among fans of Central Asia. Football is one of the instruments of rivalry between the states of Central Asia. This rivalry comes from Soviet times. Also in recent years, Uzbekistan has been competing with the Iran ("Rivalry between Iran and Turan" in Shahnameh), China, South Korea and Saudi Arabia national football teams. The Uzbekistan national football team also has rivalry with other countries of the former USSR, for example with Azerbaijan, Armenia, Georgia, Russia, Ukraine and Belarus. Uzbekistan national team has a lot of fans, not only in Uzbekistan itself, but also in other countries of Central Asia and in other countries of the former Soviet Union (Post-Soviet states). For example, Russian, Ukrainian and Belarusian fans always support Uzbekistan national team in Asian Cups and in other tournaments. There are also a lot of fans of the national team of Uzbekistan in Azerbaijan, Armenia, Georgia, Turkey and in Afghanistan. ^ "Uzbekistan and Bahrain to play it again". ESPN. Retrieved 13 July 2016. ^ "Uzbekistan 2–3 South Korea". Goal.com. 28 January 2011. Retrieved 2 February 2011. ^ "Cuper ready to power Uzbekistan". AFC. Retrieved 7 January 2019. ^ "2018 FIFA World Cup Qualifiers: Uzbekistan 1-0 Qatar - White Wolves pile further misery on the Maroons". Goal.com. Retrieved 7 January 2019. ^ "Uzbekistan Football Federation President Mirabror Usmanov Met With Junior White Wolves". Championat.asia. Retrieved 7 January 2019. ^ "James Minahan. The Complete Guide to National Symbols and Emblems". Google Books. Retrieved 7 January 2019. ^ "Кубок Азии – 2019. Группа F. Сборная Узбекистана. Белые волки Турана". sports.ru. Retrieved 7 January 2019. ^ "Блогеры Трибуны написали лучший гайд по Кубку Азии. Здесь Липпи, Сон, Купер и сборная Сирии". sports.ru. Retrieved 7 January 2019. Wikimedia Commons has media related to Uzbekistan national football team.